Kelly Potter is an Account Executive with Cavignac & Associates, specializing in risk management and insurance for design professionals, nonprofit organizations, schools and restaurants. 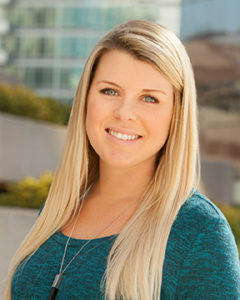 Raised in the Los Angeles area, Kelly was born into an insurance family. Her grandfather founded a privately owned insurance brokerage in 1959, where Kelly grew up working part-time until moving to San Diego to complete her education.